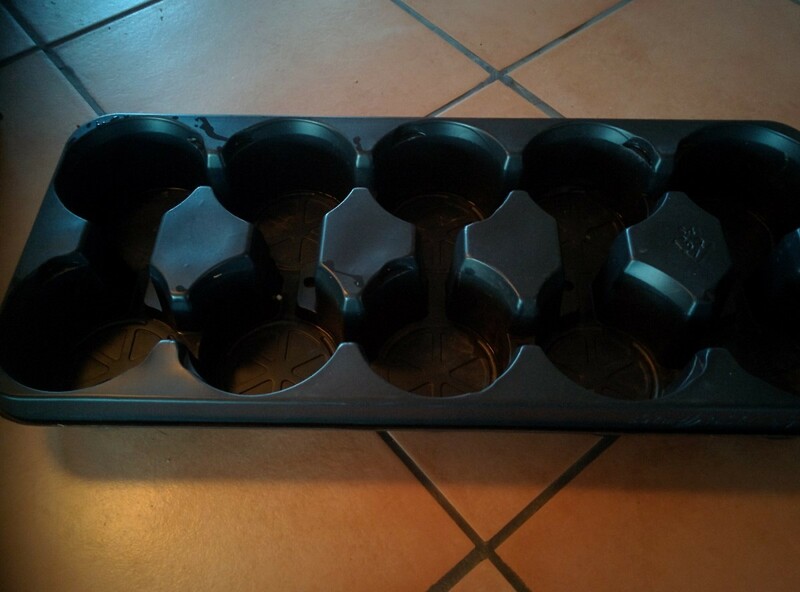 The trays that potted plants are delivered to retailers in, are often available for free. They can be reused to store breakable cups and glasses. 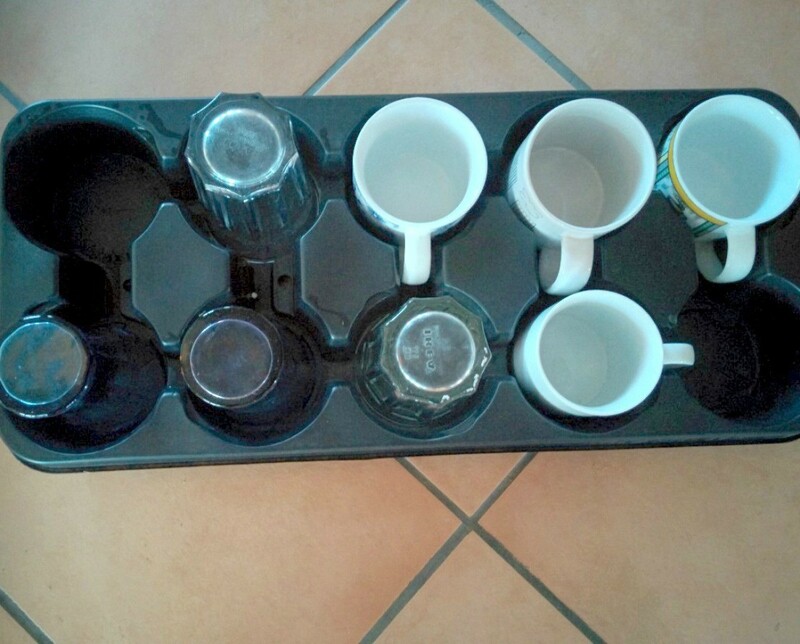 This is page is about using plant trays to store mugs and glassware. Many of the places I buy potted plants from gives the plastic trays that plants are delivered in away free to customers. Some garden centres often leave them in the packing area after the checkouts so you don't even need to make a purchase to get hold of them. They are a fantastic storage solution for breakables including occasional crockery and glassware, enabling you to put them on shelves without danger of them banging together and breaking. There is even a space for handles and it is a brilliant way to organise canning (jam) jars by size! This tip could also be useful when packing for a house move or to help safely transport breakables for trunk sales or perhaps if you need to loan things to friends or groups. Brilliant I love it! Eco friendly too! We must re-use plastic whenever we can and this is an Excellent idea, will definitely doing this. It made it easy to pull things out from the back of the shelf too.